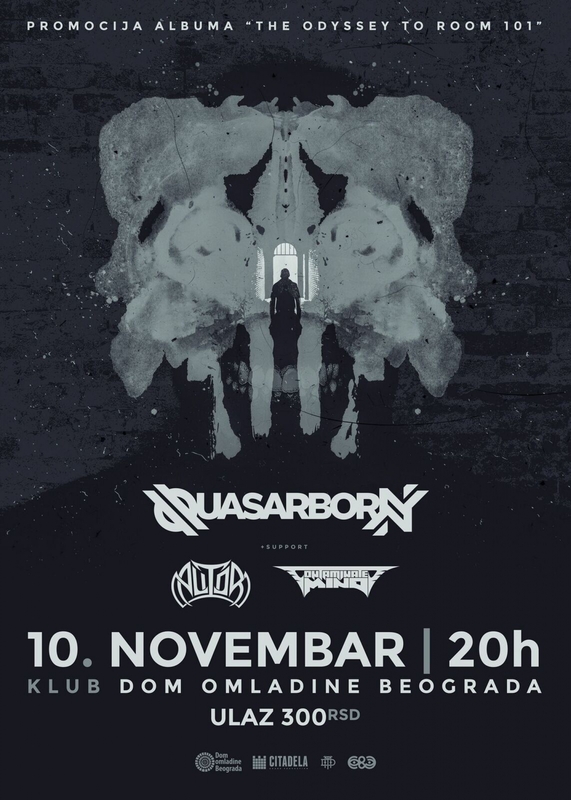 Quasarborn was founded in 2016, and the lineup is Luka Matkovic (guitar and vocals), Djordje Lukovic (guitar), Marko Danilovic Pacific (drums), who immediately before the establishment of the band left the band Space Eater, and Milos Tomasović (bass) who previously collaborated with them on one of the two European tour, how did a band called Space Eater . Genre,Quasarborn is largely rooted in the traditional thrash metal sound, characteristic of the eighties, but without riddled with the influence of other metal and rock subgenres. So far, the band has released three singles, the song ,, Danse Macabre ',' Blood Honey 'and' The Odyssey to Room 101'Which have announced their first album. Although the band there is a very short, boasts several performances some of which were abroad (the first concert of the band was in Bucharest), tour of Serbia band Remedy (new project Nemanja Kojic 'Coyote'), including a performance at Exit Festival. Also, Quasarborn take pride in the fact that the band is a huge part of a member of the DIY philosophy, because the band members cover most of the activities necessary for the work of the band, (eg. Marko Danilovic Pacific is responsible for the complete visual identity of the band, but Luka Matkovic recorded and produced all the material). Debut album ' The Odyssey to Room 101 ' goes on 18 May this year.